mareas translates to tides in Spanish, and is expressed through the undulations and spirals of the metalwork as it follows the curves of the human form. Featuring ethically sourced natural freshwater pearls and organic forms reminiscent of the ocean, this collection embraces the elemental push and pull of our shared experience. This body of work explores the mechanics of motion and balance, using splashes of color to imbue a playful sensibility in the work. Sempra is a collection of small scale sculptures, art forms that are given new life and context when worn on the body. estrada’s debut collection finds its roots in the most elemental terrain an artist can mine. 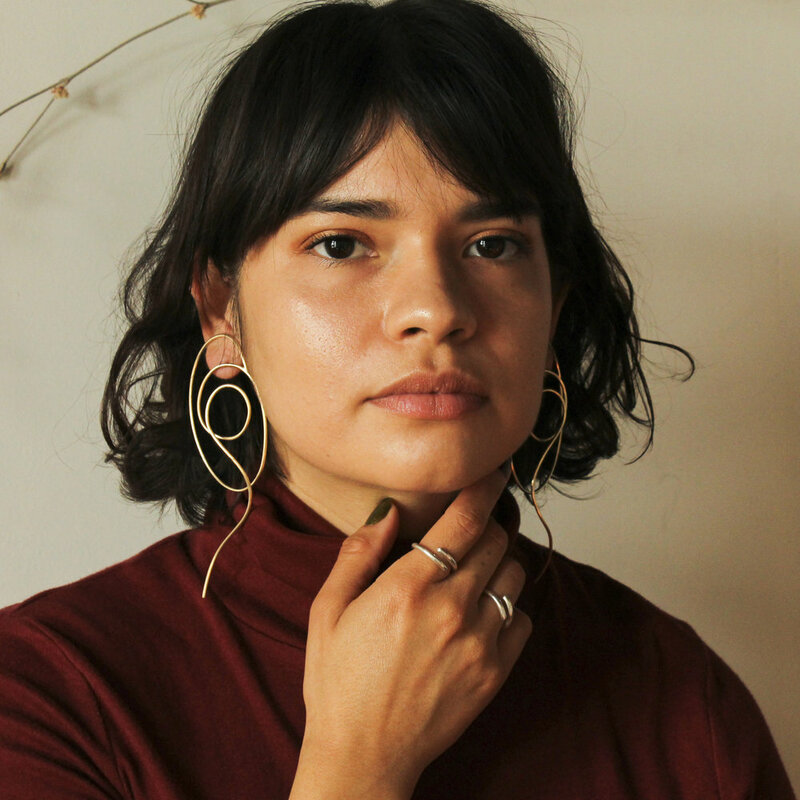 felipe, named for her father, constructed with her grandfather’s tools and made in a tradition of powerful women workers that began in guatemala — is a statement of both aesthetic and craft.